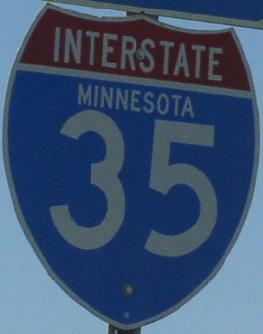 Interstate 35W is one of two paths that Interstate 35 uses to go through the Minneapolis-St. Paul Metro Area. Just line in the Dallas-Fort Worth Metroplex, Interstate 35 splits into I-35E & I-35W. When the AASHO started to remove the suffix routes from the interstate system, these were allowed to remain. This highway is known for a tragic rush hour bridge collapse in 2007. A new Mississippi River crossing opened in 2008, three months ahead of schedule. 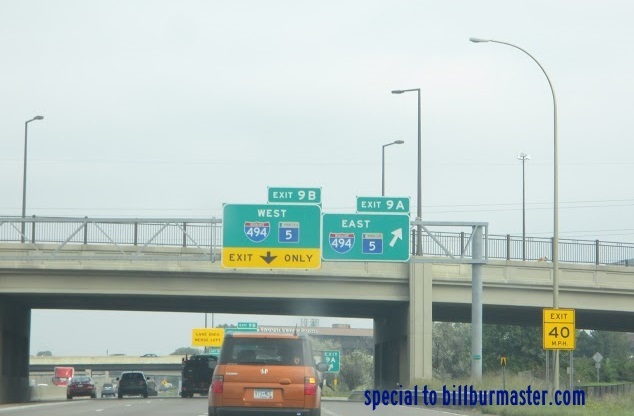 While in Minnesota, I-35W is multi-plexed. ...Minnesota State Route 62, at Richfield. ...U.S. Rt. 10, at Ramsey. 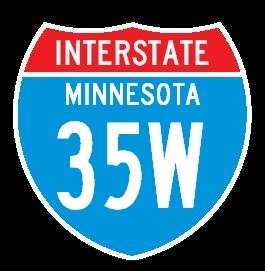 In Minnesota, Interstate 35W crosses the following interstates. Info on the parent highway for I-35W. 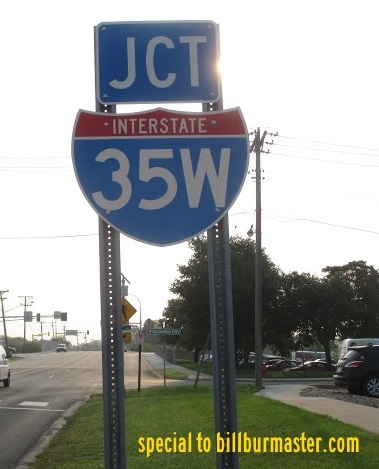 A junction marker for I-35W.